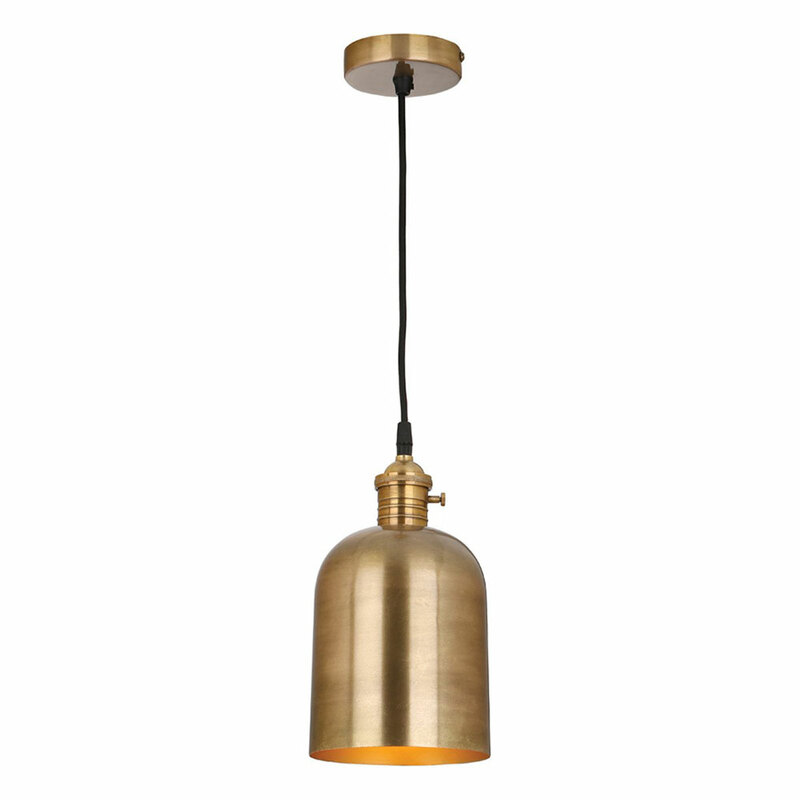 This striking one-light pendant fuses traditional and contemporary design and features an antique brass dome, suspended by a black braided cable. It can be fitted at a minimum of 33cm and a maximum of 110cm. Filament bulb available to purchase separately.